This beautiful property is located on a huge corner lot directly across from Peculiar Elementary. Absolutely darling inside with an open/bright floor plan. Main level Laundry! 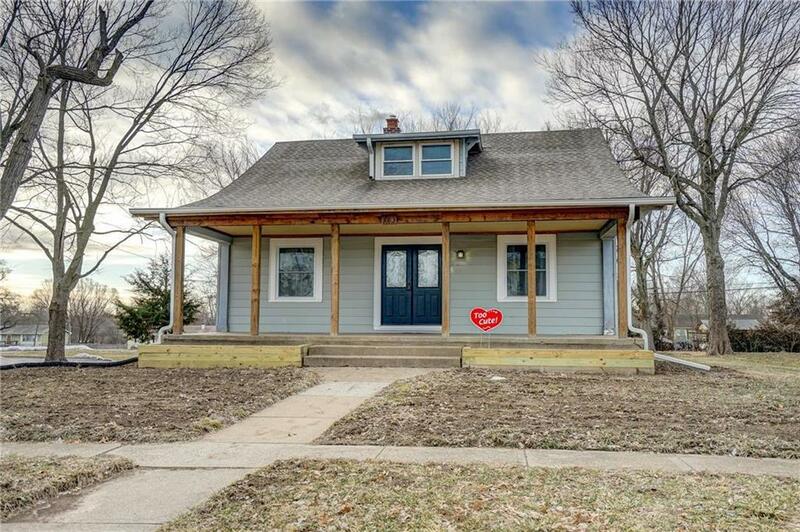 Updates include: Newer flooring, carpeting, kitchen remodel, cabinets, granite, bathroom remodeled with darling tile, updated windows, paint and an office/play room/non-conforming 4th bedroom waiting for your finishing touches. W/O bsmt, clean and tons of storage. You're going to love the huge front porch with newly installed flower boxes. Directions: 49/71 South to Peculiar Exit. Go Right (south) on C Why to Broadway. East (left) to property on the right side. Or. 49/71 South to Peculiar Exit. Right to the Sonic Entrance and turn south right before you reach Sonic. Follow to the property. Watch your speed. On C Highway through town it's 25 mph and strictly enforced!